The Beheaded from Dead Cells is here! The Beheaded comes with its own stage, the iconic ‘Prisoner’s Quarters’, their favorite respawn point. A pair of teleporters on each side make the battles both strategic and even more frantic. This new stage features the original score ‘Prisoner’s Awakening’ by the talented Motion Twin composer, Yoann Laulan. 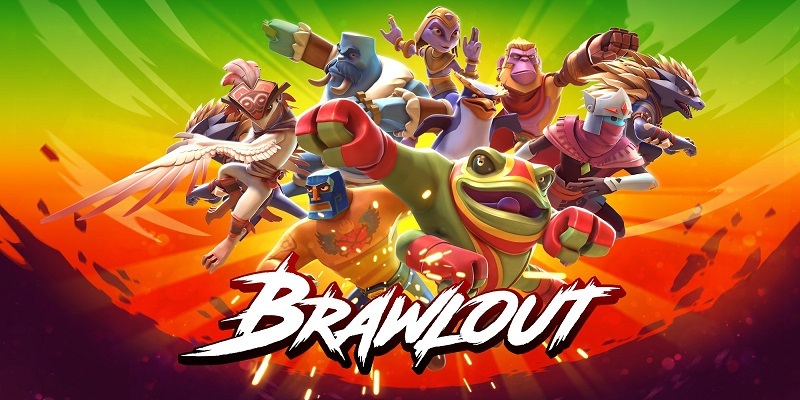 Get ready for the ultimate Brawlout challenge! Fight your way through a variety of team battles, 1v1’s, bonus modes and menacing, stage-filling bosses while collecting powerful perks along the way to even the odds! Do you have what it takes to pass the Trials? We reworked the online matchmaking and lobby systems! Online play is now separated into Ranked Matchmaking and Online Lobbies to make it easier to find the kind of fight you’re looking for! 4-player FFA, Team Matches and Party Mode are now all available to play with the new public lobby system! Create your own public or private lobbies for FFA, Team Matches or Party Mode! Up to 8 players can join the same lobby, anyone not playing will be able spectate while waiting for their turn! Need one more for your 4-player match? You can now add CPU fighters to online matches! The Trials mode would be no fun without a challenging AI, now would it? We made sure the CPU characters now do their best to put up a great fight, recover from off-stage, evaluate the tricky platforms better, and maybe even defeat you. The window for teching has been increased from 8 to 11 frames, and the lockout penalty for missing a tech has been decreased from 48 frames to 30. You can now also tech 2 frames after touching the ground. All characters behave the same when knocked back, but with the new formula we avoided cases where it would take a lot of effort (over 250% damage) to knock out heavy characters, like Acolyte. Now, over 150% damage, most characters start flying offstage around the same way. Spot Dodge now has a bit more end lag, to make spamming it a much less viable option for defense. His forward air attack sends opponents flying downwards, so it can be countered with a Spike Cancel. The Ground and Air Neutral Special whip swings don’t hit behind the character anymore. The tip (fist) is now a sweet spot and you can’t hit with both the chain and the fist at the same time anymore. The Air Down Special has just a bit more end lag, to avoid spamming it. New combos are now possible because of the quick fall attacks. Increased Damage & Knockback on Down Air Special. Increased Knockback on Side Tilt and Side Charge Attack. Fixed the freeze time and stun time on the charged projectile (ground and air versions), for Special N.